We’d love your help. 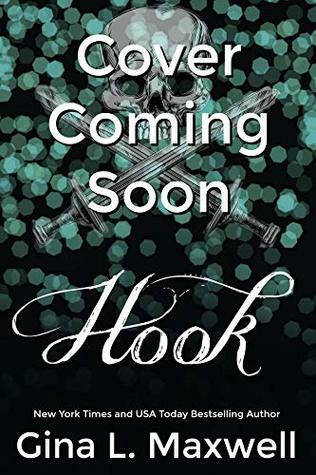 Let us know what’s wrong with this preview of Hook by Gina L. Maxwell. When one of Hook's own is taken hostage by the crooked cops of Neverland PD, the leader of the Pirates is forced to do Croc's bidding and head up a major illegal operation to get his crew member back. John Darling's cop instincts have been firing on all cylinders lately; he knows something big is going on, and he has no intentions on letting it destroy Neverland in the pro When one of Hook's own is taken hostage by the crooked cops of Neverland PD, the leader of the Pirates is forced to do Croc's bidding and head up a major illegal operation to get his crew member back. John Darling's cop instincts have been firing on all cylinders lately; he knows something big is going on, and he has no intentions on letting it destroy Neverland in the process. All he has to do is convince a certain broody as hell Pirate to let him go undercover as a new recruit so he can bring Croc's empire down from the inside. Getting John vetted as a legitimate criminal was the easy part. Working and living under the same roof with the fitness buff who insists on working out every damn day without a shirt is making Hook's life--among other things--hard, and he wants no part of anything John has to offer that doesn't have to do with putting Croc behind bars. But it's hard to keep secrets in close quarters, and when John discovers the darkness in Hook's past, he makes it his mission to not only eradicate the evil plaguing Neverland, but also to knock down the barriers between him and the man he's fallen for. Come hell or high water, he'll prove to Hook that even someone with a pirate heart as black as his deserves the greatest treasure of all...love. To ask other readers questions about Hook, please sign up. When is this book coming out? I thought it was out today.